Our bodies can’t create essential fatty acids (EFAs) – also known as ‘good fats’ - so it’s important that we have them in our diet. Fatty acids are important for children’s growth and our overall metabolism. They are found in oils from plants (omega-6 ALA and GLA) and fish (omega-3 EPA and DHA). 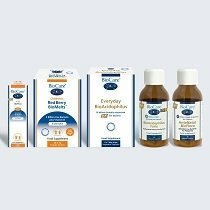 BioCare's ® Fatty Acid Supplement range contains everyday and high strength essential fatty acids in capsule and liquid forms, as well as including vegetarian and vegan options. 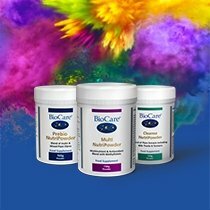 Our BioMulsion® range is emulsified using our unique BioCare® process to dramatically increase the bioavailability of the oils. The range includes great tasting JointGuard®, a combination of pure fish oil concentrate blended with glucosamine hydrochloride, vitamin E and ginger. 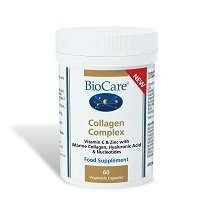 The range also includes sources of high potency fish oil liquid with a tasty, fruity base. In our MicroCell® range the fatty acids have been ‘micellised’ by our unique MicroCell&reg process to ensure effective absorption and delivery to the body. CoQ10 capsules deliver a combination of the co-enzyme Q10, olive oil and vitamin E. CoQ10 Plus Omega combines co-enzyme Q10 with concentrated fish oil, vitamins E and C. Our MicroCell&reg Essential Fatty Acids capsules provide an ideal balance of omega-3 and omega-6 fatty acids from linseed and borage oils. Mega EPA is one of our best-selling EFA lines and it consists of high potency fish oil capsules which provide omega-3 fatty acids in a natural triglyceride form. This essential fatty acid supplement is great for daily use, as well as being suitable for pregnant women. OmegaCare® is a highly concentrated fish oil derived from anchovies and sardines, flavoured with natural orange oil for a great tasting liquid that can be taken on its own or mixed with water or juice. Our Mega GLA Complex provides emulsified omega-6 fatty acids from borage oil. Each capsule provides approximately four times as much GLA (180mg) as a 500mg capsule of evening primrose oil/ . Vegan Omega-3 is one of the first supplements available in the UK to give vegetarians and vegans important EPA & DHA produced from natural algae. Linseed oil from cold pressed linseeds is also a natural source of omega-3 fatty acids with vitamin E for stability. As an antioxidant, vitamin E contributes to the protection of cells from oxidative stress. Discover all these fatty acid supplements and more below and if you require any additional information, don’t hesitate to contact our friendly team.